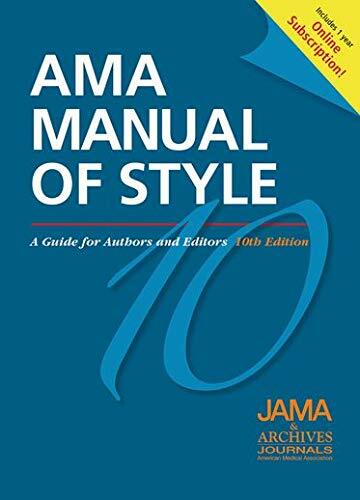 Guide to help students using the AMA style manual. Welcome to the AMA Citation Style Libguide! JAMA and the Archives Journals has created a manual for publication and guidelines. The latest update occurred in 2007. A copy of this manual is available at the reference desk. This libguide was set up to provide a background and some examples. Please refer to the actual manual for further questions and clarification.